As an innovator or entrepreneur, you may launch a business for a variety of reasons. At first, a primary reason is to develop a profitable product or technology you believe will provide a nice return. But, creating the next popular app or useable technology could lead to a life-changing acquisition of your business at a premium valuation. At the same time, if your business is not performing as you had hoped, selling may be the best option for you. These are only a few reasons why you may want to sell your business. It is important that businesses considering a sale of their company obtain the guidance of legal counsel. A Silicon Valley business attorney will be able to work with owners to identify and avoid potential legal issues that may arise with the potential sale of the business. These pitfalls could include, for example, issues with due diligence, fiduciary duty and duty of care, voting requirements, corporate compliance, shareholder approval, intellectual property, and lien holder negotiation. 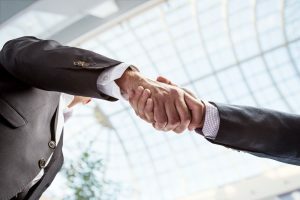 After all, once a decision is made to sell the business, the goal is not only to get a good offer but to be able to actually get the deal done.